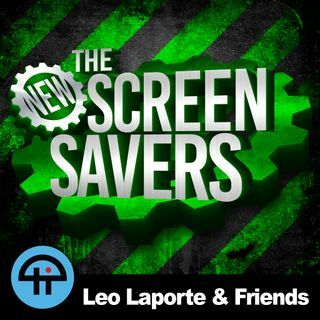 On The New Screen Savers recorded on Saturday, September 1, 2018, with Jason Howell and Patrick Norton: Jason and Patrick discuss Google's 'rigged' search, California passing a strong net neutrality bill, and 8K TVs at IFA 2018.Jason has put the Samsung Galaxy Note9 flagship Android phone through its paces and gives his full review.Patrick has been testing the Andrew Jones-designed ELAC Debut 2.0 B6.2 bookshelf speakers. He'll let you how it stacks up to the original Debut ... See More series and dives into some home theater speaker basics.We continue our home theater speaker talk in our 'Call for Help.' Is there any way to keep the noise down to be a better neighbor? Megan Morrone and Navigant Research Senior Analyst Sam Abuelsamid take the hydrogen-powered 2018 Honda Clarity Fuel Cell for a ride.